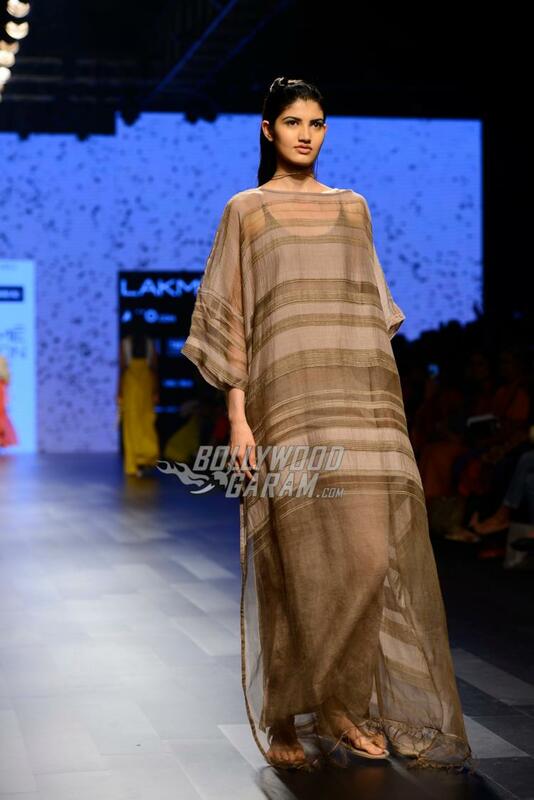 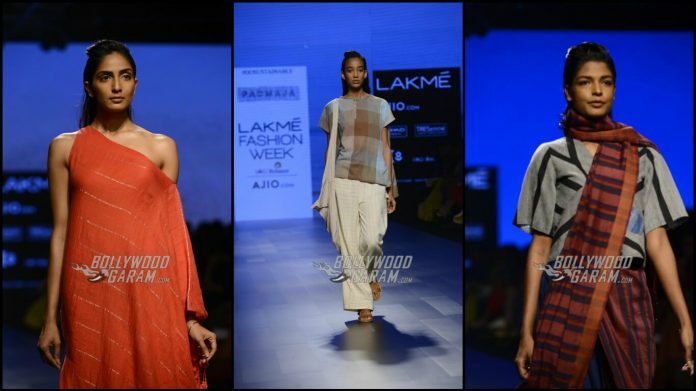 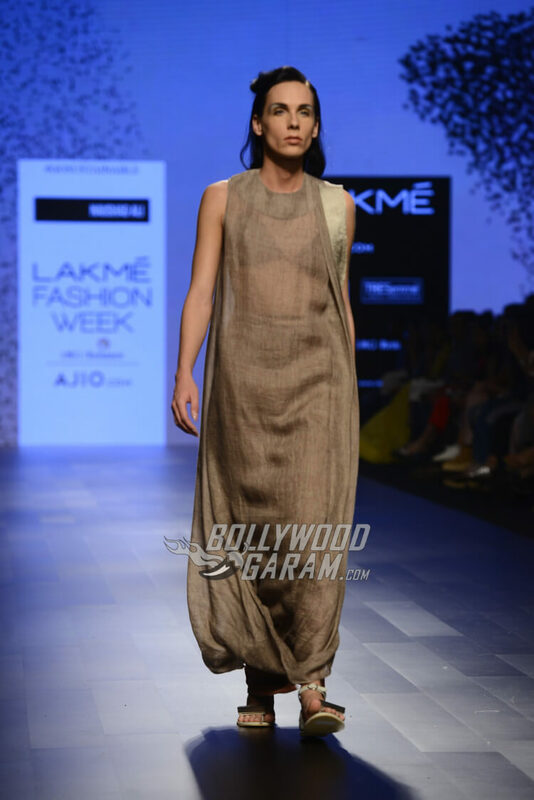 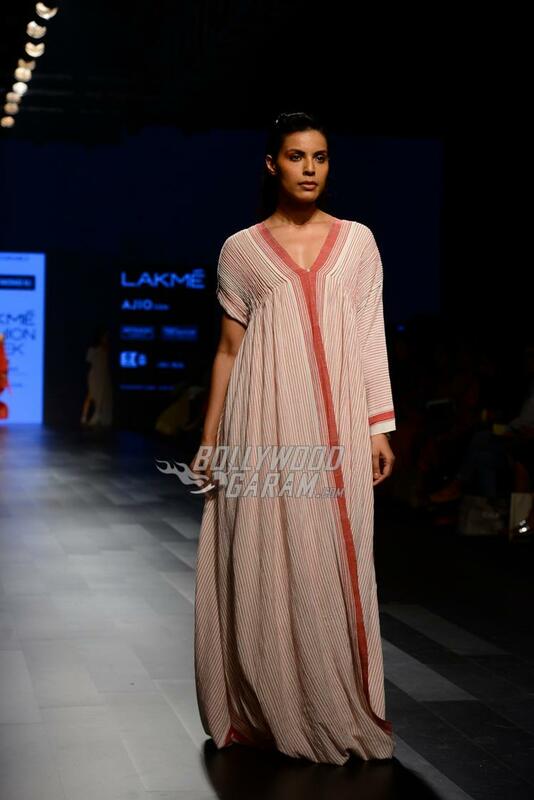 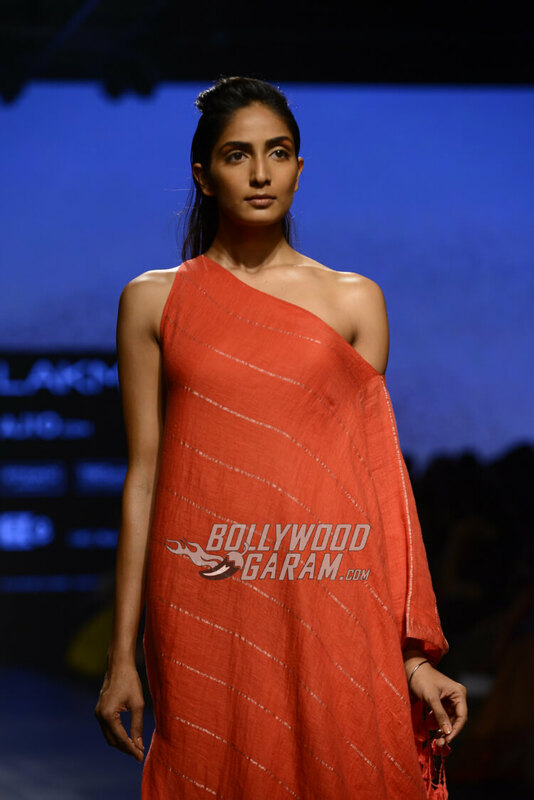 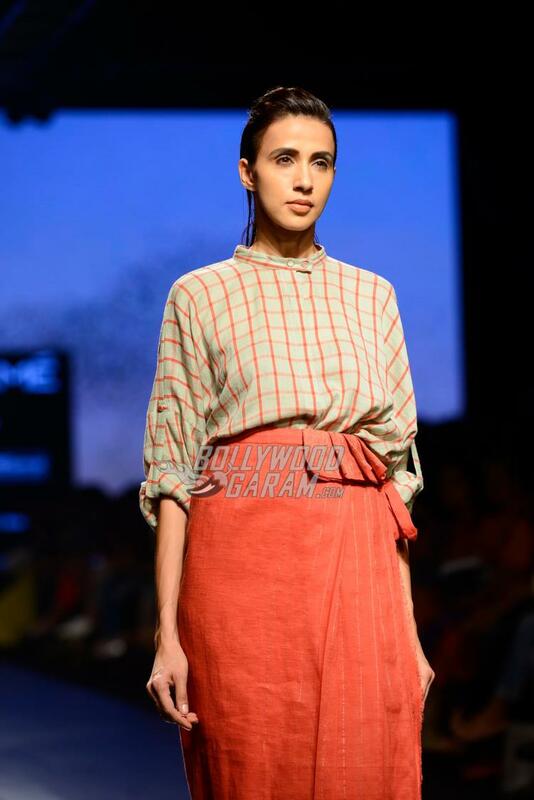 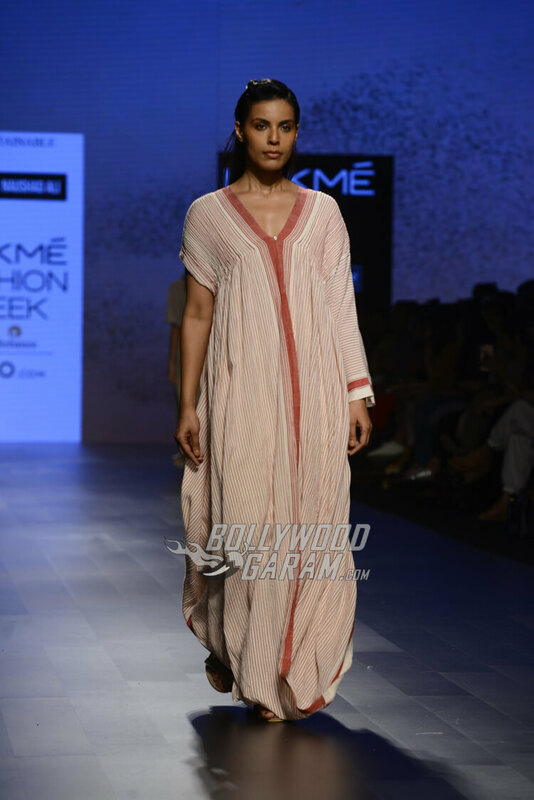 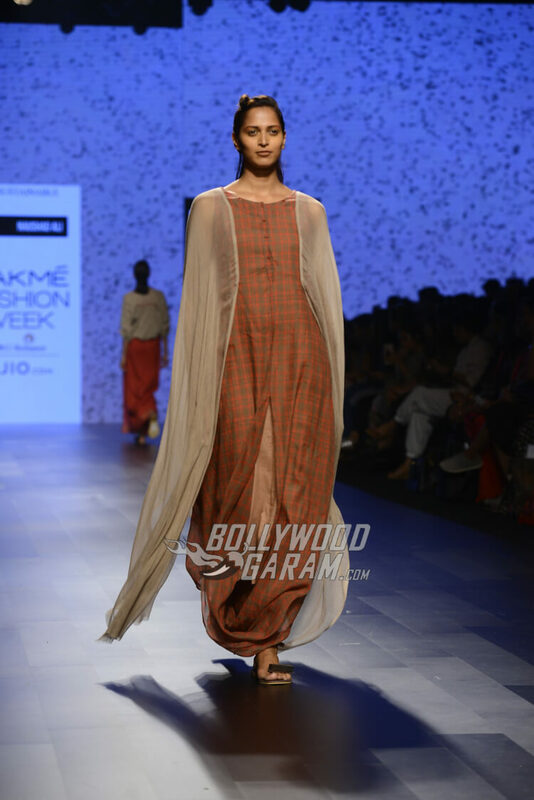 Designer Naushad Ali presented a cool and casual collection at the ongoing Lakme Fashion Week Summer/Resort 2017 in Mumbai on February 1, 2017. 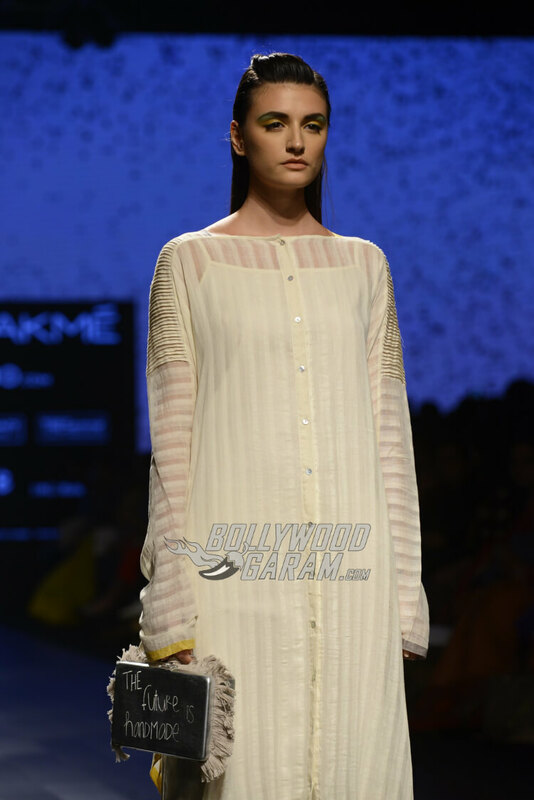 Those who are looking forward to a holiday in Goa can dig in to the collection by Naushad Ali. 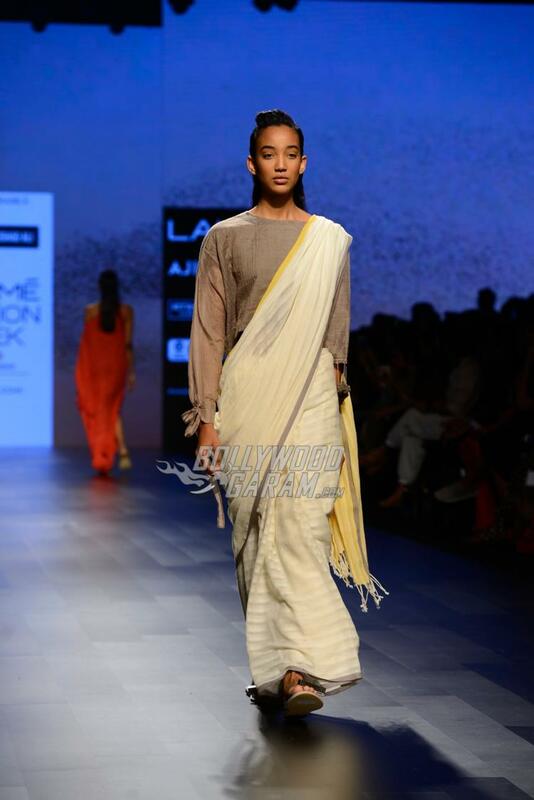 The runway was dominated by unstitched seamless saris in the form of draped kaftans, pleated maxi skirts and one sleeved cholis. 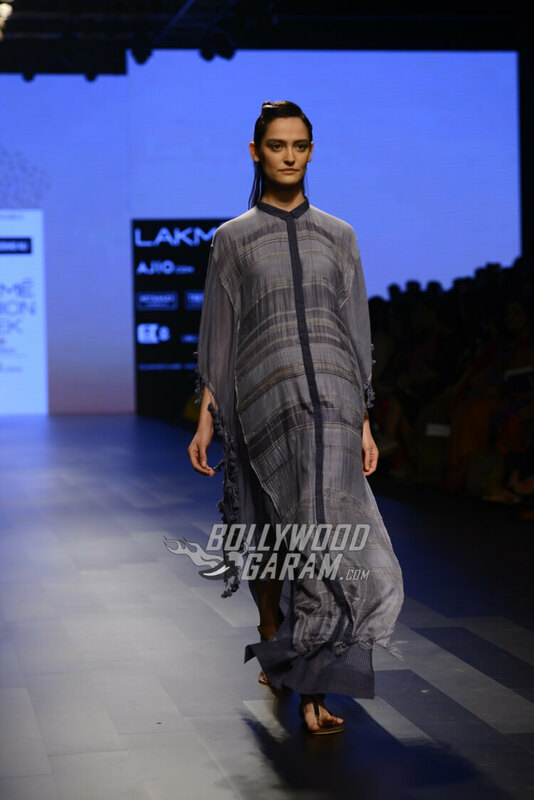 The best part was the designer’s venture in to semi-formal territory with a looped hemline maxi and a chiffon cowl drape. 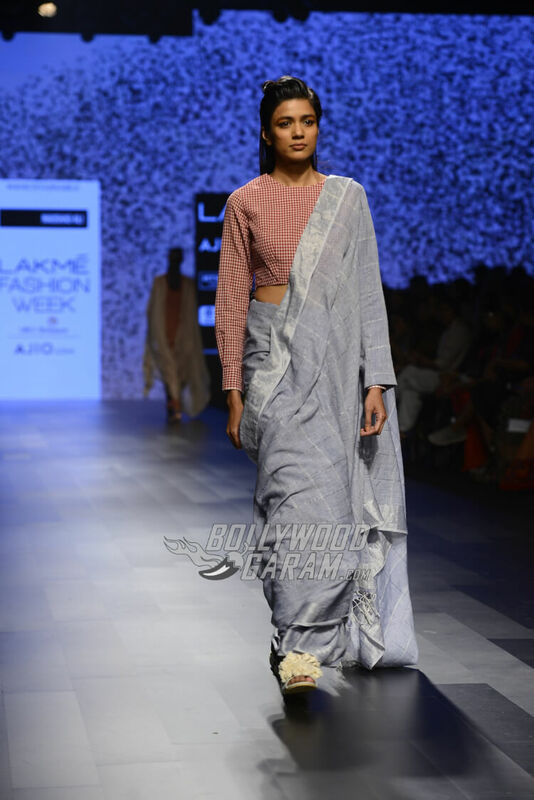 Ali is a designer who is known for constantly redefining simplicity and is in complete love with Indian traditional crafts and has created designs with modern cuts involving heritage fabrics. 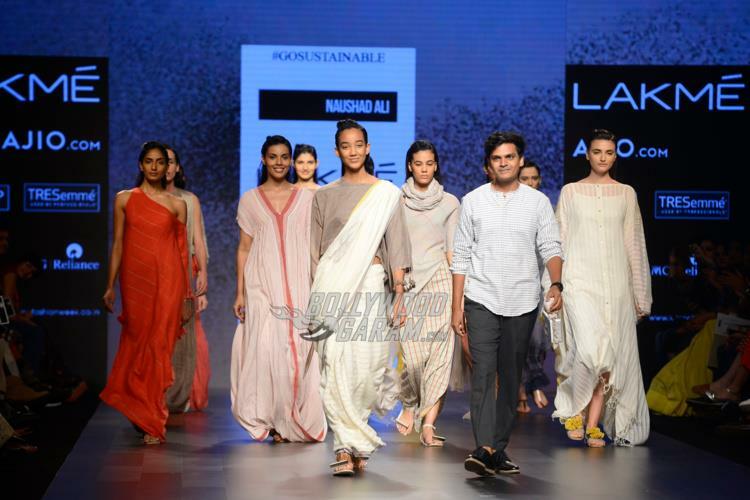 The designer set up a pop-up shop at Puducherry in 2014 which proved to be a success and also indicated that Naushad’s simple and easy designs were approachable.